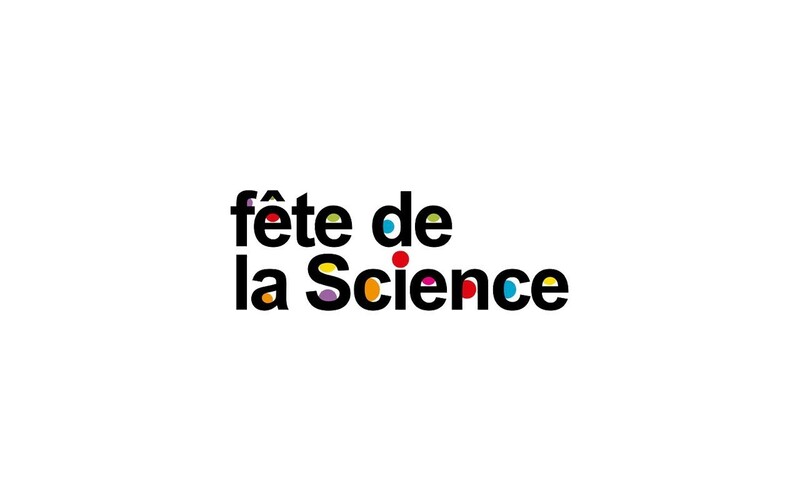 During the 2017 Fête de la Science event, last weekend Armor 3D presented its OWA filaments to the Cité des Sciences et de l’Industrie in Paris. 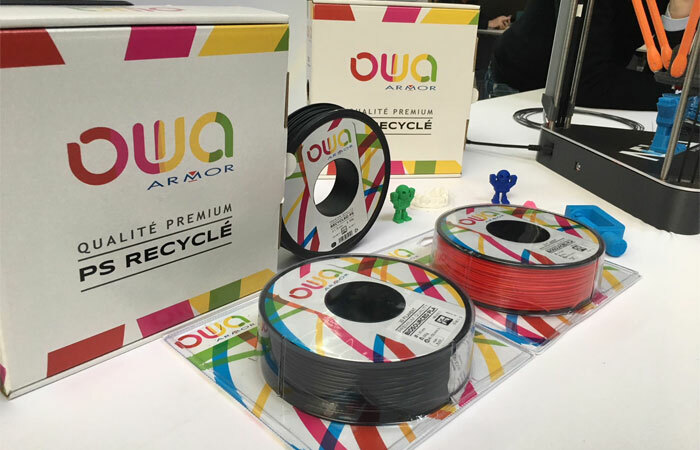 The team made some 3D prints on the spot and presented the metal material deposit technology, how it works and its main principles, using a recycled and recyclable material in order to inform a young and inquisitive audience. From Friday 6 to Sunday 8 October, Armor 3D was at the Cité des Sciences et de l’Industrie in Paris where research and digital took centre stage. 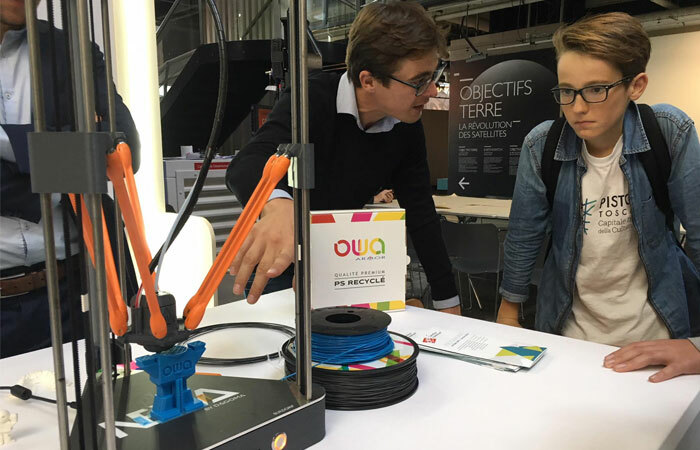 In the 600 m2 digital village, visitors were able to find our team at a stand dedicated to the 3D printing of robots using OWA filaments. 50,000 attended over the 3 days, with Friday being set aside for school groups. 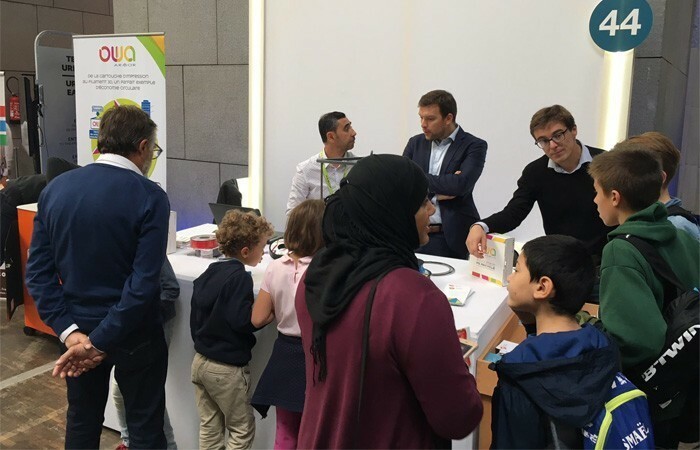 It was an excellent opportunity to inform the children about environmental and circular economy issues, and above all to show them how 3D printing could become part of our day-to-day lives. At our stand, the visitors could find out about the Neva printer from the French manufacturer Dagoma in full action: it created dozens of robots each day of all different sizes. Many children visited us as Friday was reserved for school groups. A number of them had already come across a 3D printer at school: 3D printing is becoming more and more available and is starting to find a place in academic education. The event was also an opportunity to test our new 250g reel format, which is ideally suited to lower volume printing. This new format is completely new on the market; it is more usual to see reels of 750g or 1kg. 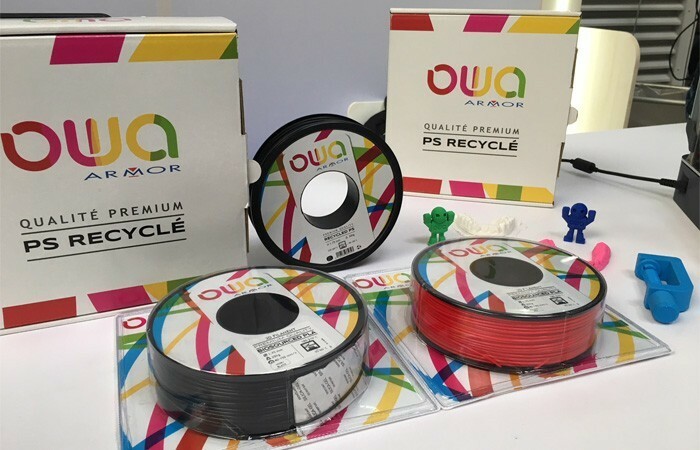 Small reels mean low prices: users of FDM 3D printers can now buy recycled and recyclable PLA filaments reels for €14.95.